This past weekend the holidays seemed to come into full swing, and there was a lot of giving. On Saturday morning, members of our Sapwi Bike park committee gave their time building the first trailside feature at Sapwi Bike Park. Contractors have cleared and graded the bike park area, and the final bike park plan from FlowRide Concepts is close to completion. 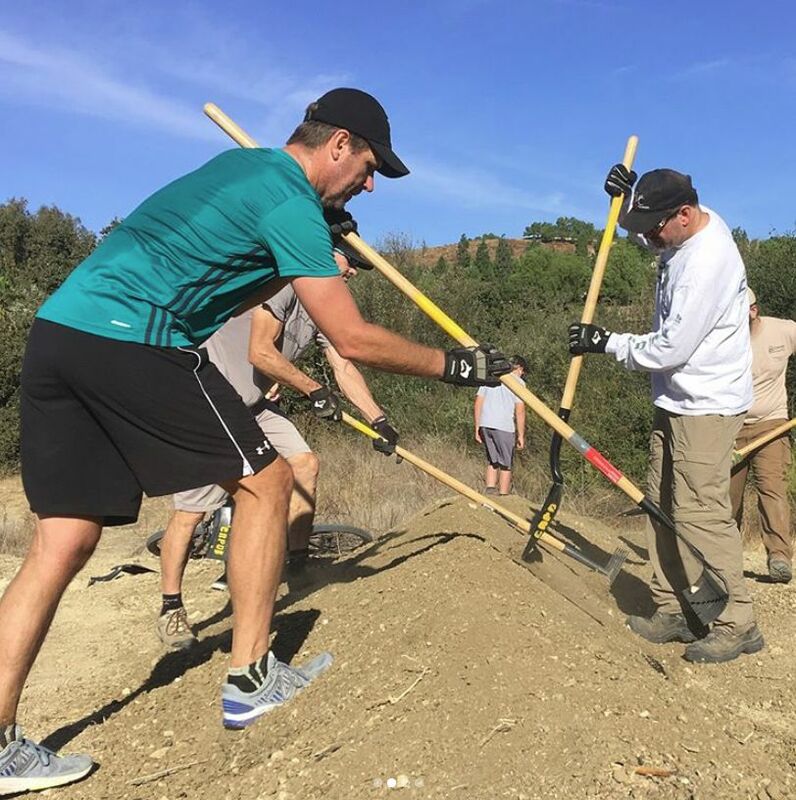 Lots of people have given to our IMBA Dig In campaign now standing at $1900, in addition to the generous grant of $15,000 from REI. We need to raise close to $100,000 so there’s a long way to go. Keep the donations coming! Also on Saturday, former CORBA Chair and current volunteer Mark Langton was conducting our monthly Free Basic Mountain Bike Skills Clinic. Mark has been teaching new mountain bikers the basics of bike handling, safety and etiquette for more than 20 years. Eight riders attended the last skills clinic of the year.